The European Union is something I’ve given much thought to over the years. At age 17, I studied European Studies in Sixth Form, and while doing so was given the opportunity to travel to the European Parliament in Strasbourg, as part of a Euroscola programme. The idea was to promote better understanding of the EU, to give the opportunity to meet students from other European countries, and to highlight the importance of cross-cultural cooperation. I immensely enjoyed the trip at the time, and began to realise the significance of the EU, how this organisation affects all our lives in the UK and across Europe. For many years after this, I grew increasingly Eurosceptic as a result, questioning why we in the UK were allowing Europe so much influence over our lives. In more recent years, as the call for a referendum grew ever louder and support for UKIP rose, I began to research and think about the EU more deeply. Well, the referendum has arrived, and on Thursday we all get the opportunity to decide whether we want to remain in the EU or leave. This will be one of the most important things we will ever get a vote on. Contrary to what the media presents, this referendum is not about David Cameron, Boris Johnson, Jeremy Corbyn, Nigel Farage or any of the other politicians campaigning for Leave or Remain. In a general election, we elect a national government. If we don’t like them after 5 years, we can see them off at the next election; or even before that, if there’s a vote of no confidence in Parliament. The referendum on the EU is about whether we stay in or permanently leave the world’s largest and most influential political and economic block. If we leave, it is highly unlikely we would be able to rejoin in the short term and with as good a deal as we enjoy now, should we collectively change our minds. In addition, it will take years to build a new relationship with the EU from outside, to allow the same ease of trade, travel and other benefits we currently take for granted. Benefits, you say? How has the EU benefited us? This is common question I frequently hear. The EU hasn’t exactly been good at promoting itself in a positive light. The benefits of being in union with our European partners are many and varied, the irony is that this project has been more successful than many people realise, to the point that we take so many of its benefits for granted. The EEC, EC, now known as the European Union has gradually allowed and built a new relationship between the nations of Europe, that has afforded a measure of peace, security and increasing prosperity for over half a century, between once bitter rivals. Truly, this is an amazing achievement that the rest of the world looks up to, yet is only rarely mentioned. While it’s certainly true Britain has a better history of recognising the natural rights of her citizens than many nations, after all we have Magna Carta, our record can hardly be described as ideal… The EU Charter of Fundamental Rights, incorporated into the UK’s Human Rights Act (1998) both recognises and guarantees the essential Human Rights of all European Citizens, including us here in the UK. We all benefit from this legislation, in one way or another, and keep in mind, these apply across the EU. We are guaranteed the same essential rights both in the UK, and when visiting or living in France, Germany, Belgium or any other EU nation state. Remaining in the EU guarantees the UK continued access to the world’s largest economy. The EU economy is worth £11.3 trillion, that is a quarter of the global economy, larger than the economies of either the US (£10.5 trillion) or China (£6.74 trillion). In addition to trade within the EU, the size of the EU’s economy means it attracts one third of all global trade. How can this not be of immense benefit to us here in the UK? The EU single market ensures we can do business with one another almost as easily as if we were in the same country. This applies at every level. While the single market is of immense importance to big European businesses like Airbus and Rolls-Royce, it benefits everyone including small businesses and individuals, as it does away with the tariffs and customs duties we would normally need to pay when trading abroad. Indeed, without the single market, European success stories like Airbus and Rolls-Royce probably would exist at all, due to the scale of their operations based in multiple European countries, necessary in order to compete with overseas rivals like Boeing and Lockheed Martin. 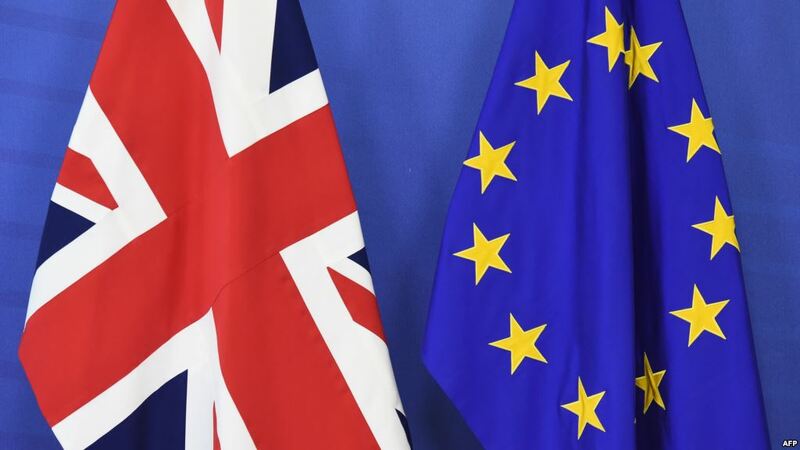 One of the industries that has benefited greatly from our membership of the EU is the UK car industry, which currently employs 720,000 people and is the UK’s largest exporter, generating £27 billion of revenue for the UK economy in 2011. We exported over 1.2 million cars and commercial vehicles in 2012, 51% of which went to the EU. Global corporations such as Ford (USA), Toyota (Japan), Honda (Japan), Nissan (Japan), Jaguar (India), BMW (Germany) and General Motors (USA) based factories here in Britain to integrate them into the EU supply chain, ensuring better quality and cheaper cars. Between 1995 and 2009, 90% of the motor vehicle components for these factories were sourced from other EU countries. Were the UK outside the EU, our car exports would face tariffs of 10% without free access to the single market. Naturally, this would make the UK less attractive to international investors, and risk damage to our car and other industries. The contribution pan-European companies make to the UK economy is incredibly significant in both jobs and tax revenues. We would be foolish to jeopardise their future and with it the 3.5 to 4 million jobs they directly and indirectly support, along with the tax revenues which go towards our vital services like the NHS and education. The £350 million a week figure quoted by Brexiters is wrong, we never actually send that much money. The rebate Margaret Thatcher secured for the UK means we actually get back 66% of the difference between what we pay in and what we get back. In 2014 this amounted to almost £3.9 billion. Both Germany and France pay far more into the EU than we do. The UK’s actual contribution to the EU is £161 million a week This may seem a lot, but we must keep in mind the size of economies here, the UK’s annual GDP in 2015 was £1,790,466 million (£34,432 million per week). To give some comparison, in 2014-15 NHS England had a budget of £99 billion. The amount we pay to the EU is a mere fraction of this, and very affordable for the country considering what we get out of the arrangement. One of the issues that has really got passions fired in the Brexit camp is immigration. According to them, the country is being flooded by foreigners who are invading our country, endangering the British culture and way of life. What is the reality? Migration figures fluctuate from year to year. In 2015, 630 thousand people immigrated to the UK (slightly less than in 2014), of which only 270 thousand were from the EU. But to put this into perspective, 297 thousand emigrated from the UK to other countries during the same year. The UK’s population is around 65 million people, when we take this into account, we realise migrants only make up a very small part of the overall UK population. When we think about migration, we need to realise we are living in a time when people move around more than ever before. Leaving the EU will not change that. Even if it slightly reduced EU migration; in 2015, immigration from outside the EU was 277 thousand. Worth noting is the UK, along with all responsible countries, has international obligations to accept refugees and this wouldn’t be any different if we left the EU. We are an island nation, but in our globalised 21st Century world, we can’t pull up the drawbridge and isolate ourselves from the rest of the world, nor is that in any way desirable. Isolationism would damage the UK economy and ruin our quality of life, as can be seen from other nations that have tried it. In England, we live only half an hour flight from Paris, the capital of France. We can fly to anywhere within the EU within 1 hour. Whether we remain in the EU or leave will not change that reality, but not embracing it will cause tremendous upheaval to our economy that will affect each any every one of us, and take many years to put back on track. On a personal level, I used to be very concerned about the influx of American culture; McDonalds and KFC on every street corner, then Subway, Starbucks and others… Though I must admit, I’ve always enjoyed a freshly made sandwich and proper cup of coffee. Add to this, Hollywood, American TV, WWF (now WWE) wrestling etc. All of which has done more to change British culture than the EU. Indeed, the EU actually has schemes to protect local produce and support local cultures. After analysing a few key issues of concern, we can see the reality is far from the image presented in propaganda promoted during campaigns leading up to Thursday’s referendum. We should let the facts speak for themselves and vote for what makes the most sense for our country, for our future and our children’s future. The way we vote will affect the UK for decades to come, whether we remain in or leave the EU. On balance, and after analysing this issue from many angles, I’m confident we are better in than out, and that is why I will be voting to Remain in the EU this Thursday. Paul Salahuddin Armstrong, Co-Director of the Association of British Muslims.